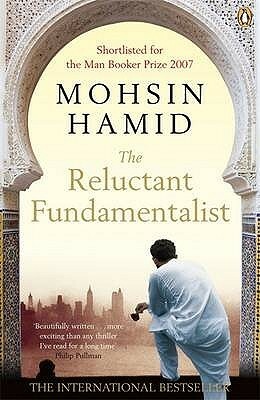 Not only did I love the writing style of Mohsin Hamid, I absolutely loved this story. Yes, I even loved the ending that I just KNOW many people will absolutely abhor. I won’t do a long review on this book. I wouldn’t want my political opinions to effect how you go into reading this book. I wouldn’t want them to effect how you feel about this book. I will only say, with all the distrust and bias towards Muslims this day and age post 911, people seem to forget that they are, in fact, individuals. They are not an idea, a symbol, or some inanimate objects. I think that society in general has taken them as just that. Inanimate objects or like a small child that has no idea what others are saying right in front of them. That, no matter what your views are, is heartbreaking. It is also widening the chasm of ignorance that is the base root of so many problems. The ending of this novel just confirms this. So read it…and then tell me….what do you believe really happened at the end? What facts do you have to support that belief?